With the launch of our Job Board, Quality has partnered with area employers to bring opportunities to our students. Nebraska Medicine recently spoke with a Certified Nursing Assistant class about the benefits of using your CNA certification while you’re in nursing school. Their team of five spoke to working in a variety of departments with a culture of always learning. So whether you’re a high school student (age 16 and above), college student, or an individual exploring a second career, Nebraska Medicine welcomes you to exploring a career in health care. 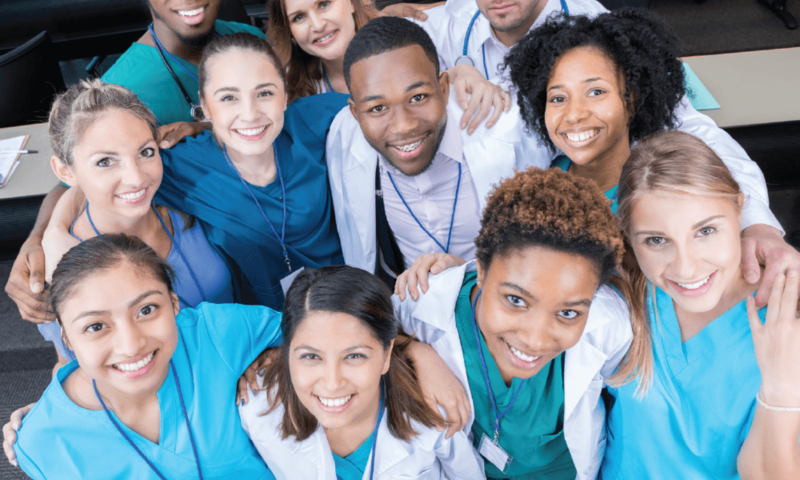 With their Job Shadowing program, you are paired with a health care professional to observe and interact with them as they conduct their daily work. While you will not have an opportunity to provide hands-on patient care, the opportunity to observe and ask questions can be priceless when you’re looking to determine your career path. Emily Haselholf (far right) is a nursing student who just celebrated her 1-year anniversary as a Patient Care Tech (their title for C.N.A.) at Nebraska Medicine. She shared what it is like to be a Patient Care Tech and why she recommends working with your certification – and not waiting until you are done with nursing school. She shared how she is exposed to all types of teams from physical therapists, nutritionist, pharmacists and physicians of different specialities. Watch her video HERE.